Aisha Ali is an internationally recognized authority on the dances of Egypt and North Africa. Following her successes in the United States, she performed widely in Europe and the Middle East. For over twenty years she directed her folkloric ensemble, the Aisha Ali Dance Company. 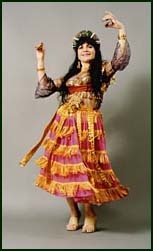 In 1971, Aisha traveled to the Middle East to observe firsthand many traditional styles of dance not seen in the United States. She made subsequent visits to Egypt, Algeria and Tunisia from 1973 to 1997 to document folkloric materials that were fast disappearing. As a result, she has released numerous audio and video recordings. In 1973, while a featured soloist at the Municipal Theater in Sfax, Tunisia, the Maison de la Culture asked Aisha to form a dance company. Later that year she stayed among the Ouled Naïl in Algeria, a tribe famous for its dancing women. Over the years she has frequently danced at celebrations in Upper Egypt with the Banat Maazin, a Nawar gypsy family of Ghawazee. In the United States, Aisha directed the North African performers at the Los Angeles Olympics opening festival in 1984 and was soloist at the grand opening of the LA Festival in 1993. In 1994, she was inducted into the Hall of Fame by the American Academy of Middle Eastern Dance in New York, and in 2000, she was an honored speaker and soloist at the International Conference of Middle Eastern Dance. Recently she was featured in a folk dance program at Cornell University. For many years, Aisha contributed articles to Arabesque magazine, and continues to write articles for Habibi. 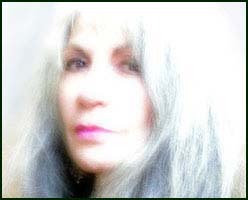 She has contributed articles to numerous publications, including an article on the Ouled Nail published by the International Institute for the Study of Islam, the section on Egypt for the JVC/Smithsonian "Anthology of World Music and Dance," and articles on Algeria and the Ouled Naïl in the International Encyclopedia of Dance published by Oxford University Press. In addition to teaching classes at her Los Angeles studio, Aisha gives lectures/demonstrations at universities such as UCLA and Cornell, and conducts workshops and master classes in North America, Europe, New Zealand and Australia. She is presently editing her latest Egyptian footage. For class schedule and prices check http://aisha-ali.com.